Complimentary valet at lunch and $5 charge with validation at dinner. Free parking located behind Whole Foods in parking garage. Del Frisco’s Grille is a stylish, modern restaurant with a vibrant ambiance where life is celebrated around the table. Boasting premium American classics infused with fresh, seasonal ingredients, the Grille’s thoughtful menu features Del Frisco’s Prime, hand-cut steaks and craveable, shareable dishes such as the signature Cheesesteak Eggrolls. With an award-winning yet accessible wine list and hand-crafted cocktails, Del Frisco’s Grille takes guests through a social culinary journey with each experience, no matter the occasion. Note: We cannot guarantee seating on the patio or a specific table. Priority is given to reservations with request, on a first come first serve basis. *Reservations are accepted for indoor dining only. Patio seating is available on a first-come, first-served basis. Hostesses were great, waitress was very sweet and attentive. Easter Sunday brunch was wonderful, menu had something for everyone . We even arrived 20 minutes before our reservation and they set us quickly at our table. The service level was very good. Other than that I cannot recommend. The food was over cooked and very salty and the prime beef was 25% fat. No detail was overlooked for our 50th Birthday celebration. The food was outstanding and the service was terrific. Great time with friends and great restaurant as always. Highly recommend. We had a corn soup which was very good, and a mushroom flatbread that was reasonably good. 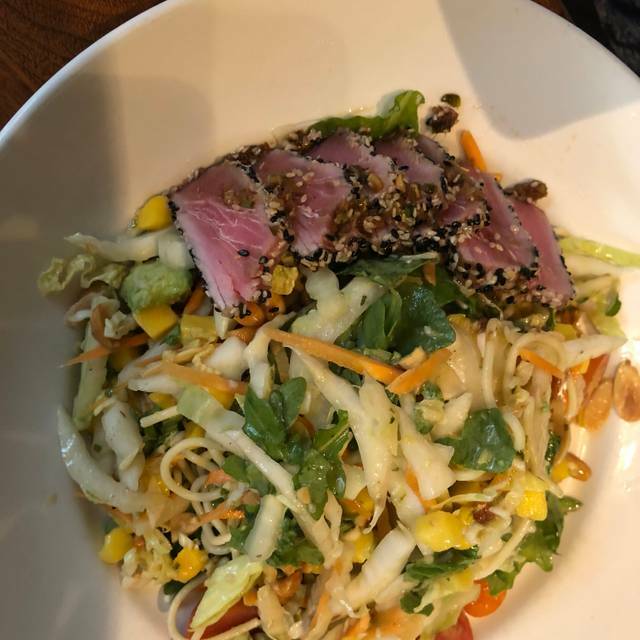 Then we had a couple of salads which were a dissapointment; too simple, non imaginative, the kind of salat you could have at any standard place. The menu is limited, I would love to see more fish dishes. The wine list is pretty over priced. Unfortunately this restaurant did not meet any of our expectations. Very empty, bartender may have been the only one who half cared. Service was non existent and food was just ok for the price. Was hoping for better. Our server, Kyla, along with the management staff made my wife's birthday beautiful. The staff even signed a birthday card to give to her. I appreciate everyone's hospitality and sincerity to help make my wife's birthday a treat. We will definitely be returning. Our server Katie was very good, had helpful suggestions for a wonderful first time dining experience at Del Frisco’s. Food was cooked perfect to our order and the dinner was paced nicely. Will be back! We will not be coming back for a while as the meal was very disappointing. 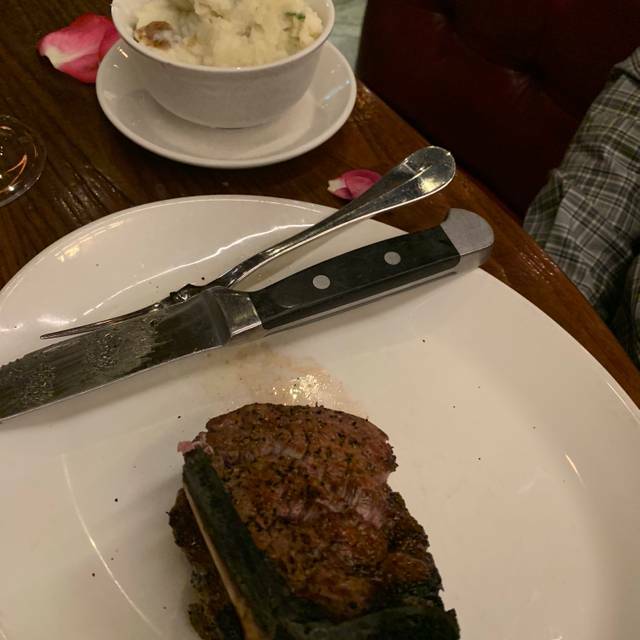 We have enjoyed and recommended Del Frisco’s previously, but this time was no good. The appetizers were both over cooked and lacking flavor. 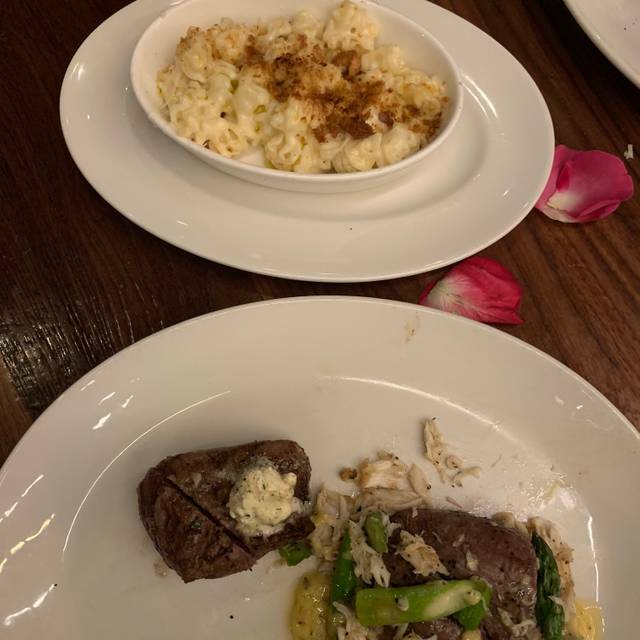 The burger and filet mignon were both over cooked (ordered medium rare, both were well done), and the tuna salad was sadly boring and lacking flavor. We love the outdoor eating area. Wonderful brunch for my wife’s and my anniversary. Beautiful place. Great food. Can’t wait to go back for evening dinner. Food was outstanding. Service was not what we expected. Our glasses were empty for about 15 minutes. We didn’t see our waitress much after food was delivered. Even a manager stopped by and offered us more water but she never returned with it. A second manager stopped by our table and was able to get our water. 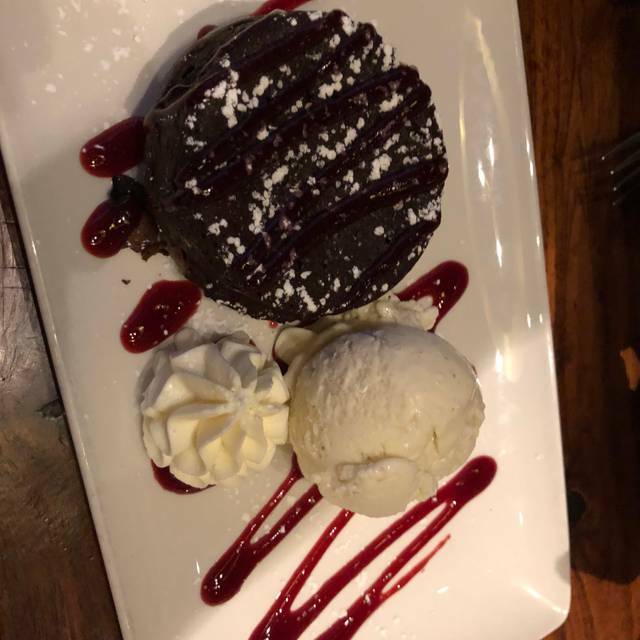 He did offer us a free dessert which was nice and unexpected. We had to ask another waitress how to pay since ours hadn’t stopped by. The atmosphere and food was great. But I will likely try another place next time. We expected better service from such a nice restaurant. It was my birthday and our server and the entire staff went over and beyond to make sure everything was great! Love this place. The atmosphere is always great and the manager, Ollie? Well he is just the greatest! We were seated near the patio and staff kept coming in and out although nobody was seated out there which made our table really cold. Service was great, food was great but wish they would have done something special for my parents 35th anniversary which I noted in the reservation. At Morton’s they took a photo and gave it to them last year. They didn’t even get a comped dessert. I have eaten here many times and always enjoyed it. We brought friends and it was their first time. The service was really lacking, to having sat there for 20 minutes without a wine menu, when our waters were brought - one glass was very dirty, then felt rushed even though I had reservations. The overall experience was not what I have experienced at Del Frisco's before, just hoping it was an off night. The food was wonderful though! For the value the food was okay, the steak was a little tough and chewy for filet. We've been to some pretty nice steak house before. Sorry it just didn't cut it . Great time met friends staff was super friendly manager cam e by twice. Great place to meet with a group of friends for drinks and then dinner. All nine of us enjoyed our wonderful meals and fantastic service in both the bar and restaurant. Mains ordered by our group that I could see included ribs, scallops, fish and chips and the filet - all comments were very positive. We will definitely return! 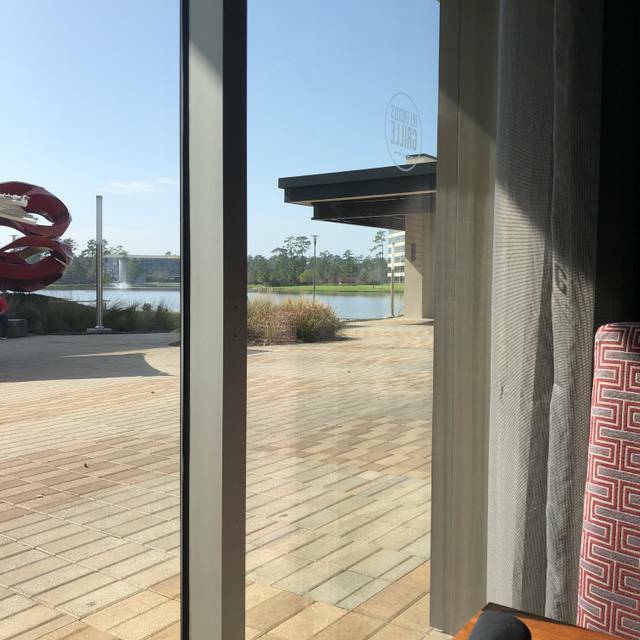 One of the best places in Hughes Landing to meet a customer for lunch or dinner! The appetizers were great, however the salad entree's left much to be desired. 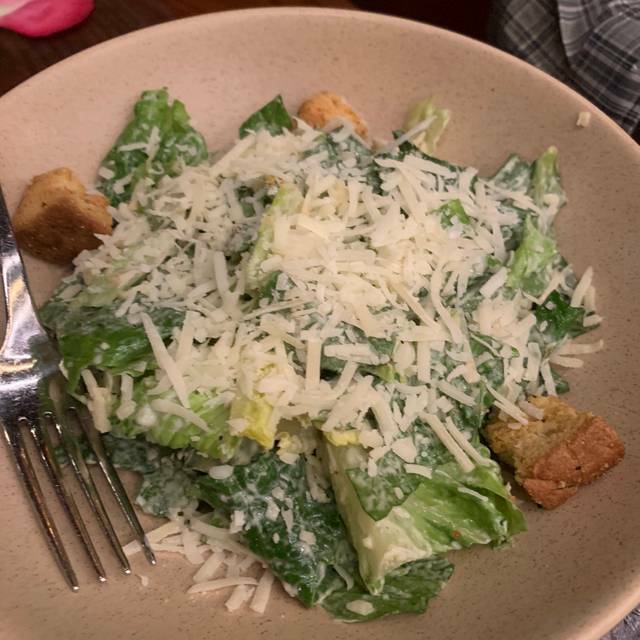 The Caesar Salad had romaine that looked like it was out of a bag from the grocery, not that fresh and barely chopped. The piece of salmon was small, and there was barely any parm. cheese on the salad. Very disappointing for a $23 salad! Great ambiance and a very versatile menu. Service was excellent, food was fabulous. 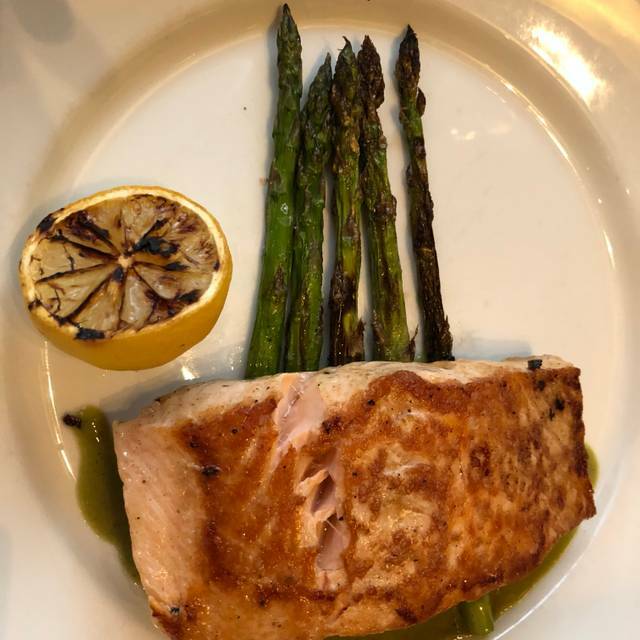 Our memories were for the Double Eagle DelFrisco and this was a first to the Grill. Were promptly seated at the reservation time. Server at the table immediately. Good drinks from the bar. All the food was well prepared and good tasting. Highly recommend this place. We’ll be back. 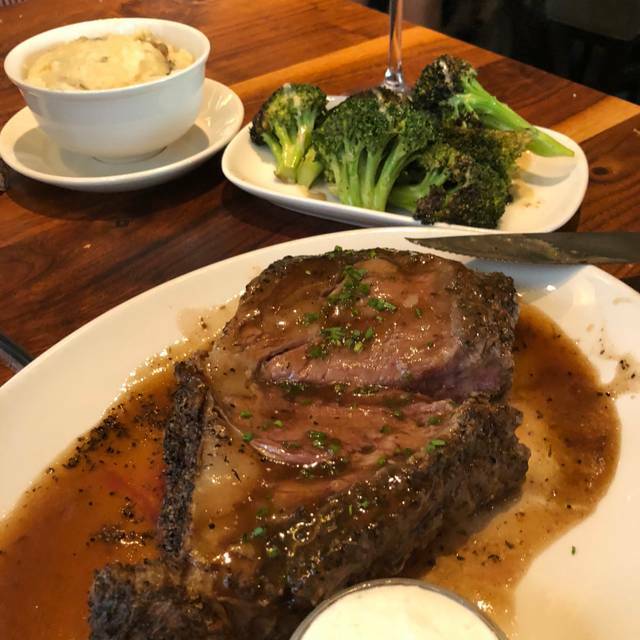 We have been to DelFrisco’s several times and this time no exception. Our waiter, Connor, was great. Service and food was fantastic. I had reservation at 11am. Arrived at 10:45 but doors were locked. I knocked on doors many times and stood outside the door but nobody bothered to check or open the doors. I had to wait till 11:15 before they opened the doors. Not good to do that to a customer. Waitress made inappropriate comment, disappointed that they didn’t have our favorite dessert (it was early...brunch) and it would be good if they had an alternative for cream/milk for coffee, when there is a dietary restriction. Food was very good and liked by all in our party. Excellent! Dined there 2 times this week! Middle of the road steak. Crab cake was very good. Kirby’s steak is much better. Sides left a lil to be desired. Ribeye was ordered medium and it was nearly rare with much griddle and very tough. The salmon was also undercooked and pink and slimy in the middle. The steak salad and flounder special were tasty but the overall experience is not what we expect from del Frisco’s. The four top table in the bar wobbles worse than a drunk at the rodeo. This should be a nightly opening routine to check all tables for wobbles and shim them appropriately. Again a rookie mistake for DFG. Business lunch meal was perfect - nice setting, quiet, good food, reasonable price and quick service. We eat here often because it is so comfortable, great service, wonderful food. We love to sit outside on the water, it’s just beautiful!! Great service and food quality! We love this place and have become regulars. You can enjoy it for date night OR a night with your children or the "gang." 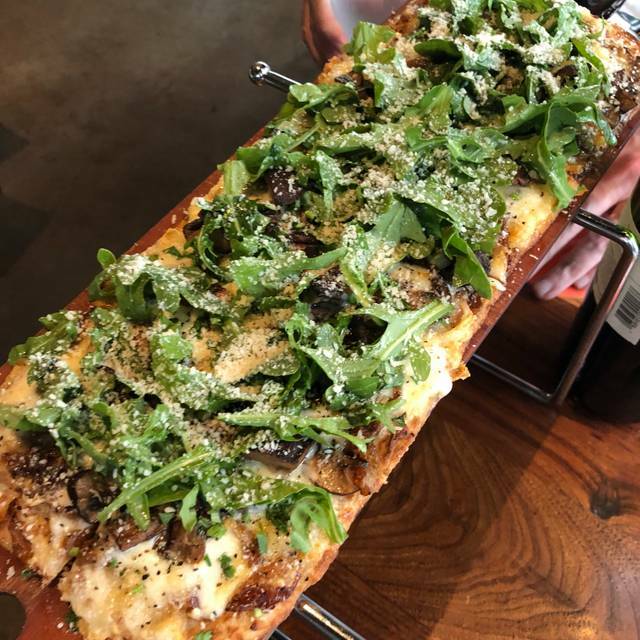 Wonderful service and even better food! We will definitely be back! And I’ve already recommended it to many people! Excellent atmosphere made for a great night out. I will be returning. Wonderful service from all staff! The made it the best experience for my husband’s birthday, evening giving him a personalized birthday card and dessert on them! Couldn’t recommend more.